Tony Stark uses his ingenuity to fight those who destroyed his private world and soon goes up against his most powerful enemy yet: the Mandarin. Iron Man 3 is an upcoming American superhero film featuring the Marvel Comics character Iron Man, produced by Marvel Studios and distributed by Walt Disney Studios Motion Pictures.1 It will be the sequel to Iron Man and Iron Man 2, and the seventh installment in the Marvel Cinematic Universe, being the first major release in the franchise since the crossover film The Avengers. Shane Black is set to direct a screenplay he co-wrote with Drew Pearce, which will be based on the "Extremis" story arc by Warren Ellis. Jon Favreau, who directed the first two films, serves as executive producer, along with Kevin Feige. Robert Downey, Jr. reprises his role as the title character, with Gwyneth Paltrow, Don Cheadle, and Favreau reprising their roles as Pepper Potts, James Rhodes, and Happy Hogan, respectively. Guy Pearce, Rebecca Hall, Stephanie Szostak, James Badge Dale, and Ben Kingsley round out the film's principal cast. 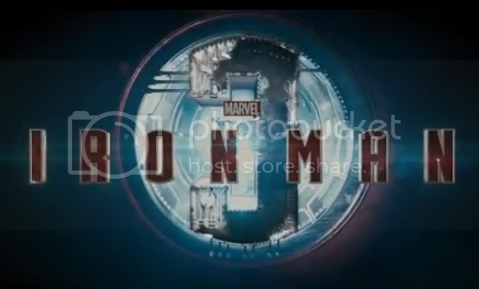 Iron Man 3 will be converted to 3D in post-production, and it is scheduled to be released internationally on April 25, 2013 in IMAX and May 3, 2013 in the United States.